Is the stock market about to crash? 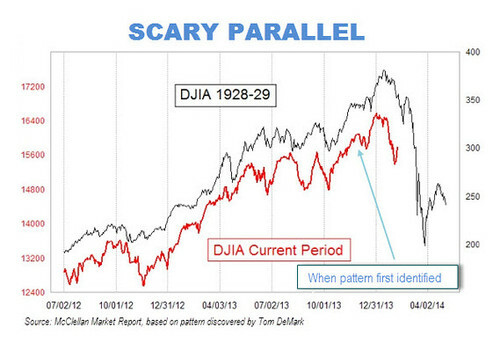 There are eerie parallels between the stock market’s recent behaviour and how it behaved right before the 1929 crash. See chart below. What happens next? Does the Correlation break?